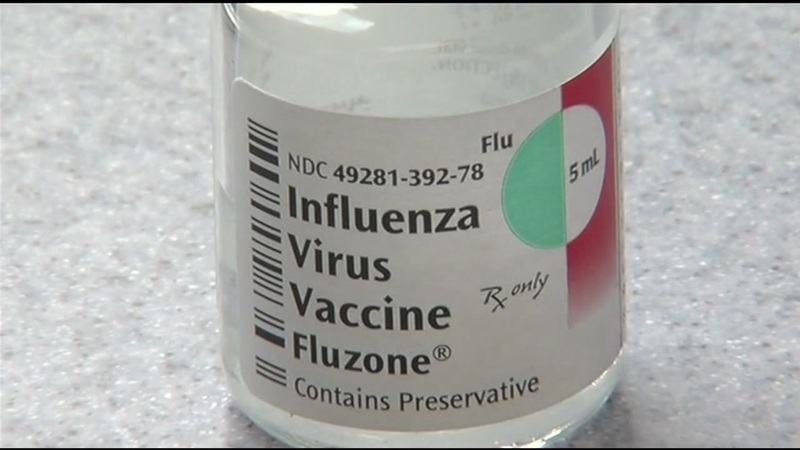 The Centers for Disease Control and Prevention has issued its annual recommendations on the flu vaccine. The agency suggests that everyone 6 months and older should be vaccinated for influenza each season, ideally by the end of October. Even if that deadline passes, health officials believe it is still beneficial to get vaccinated, especially if influenza continues in the community later in the year. In the past, the virus has lingered as late as May. The government estimates that 80,000 Americans died of flu and its complications last winter - the disease's highest death toll in at least four decades. The director of the CDC, Dr. Robert Redfield, revealed the total in an interview Tuesday night with The Associated Press. Sneezing? Sniffling? Cold or flu? Here's how to tell the difference. In recent years, flu-related deaths have ranged from about 12,000 to - in the worst year - 56,000, according to the CDC. The season peaked in early February. It was mostly over by the end of March, although some flu continued to circulate. Making a bad year worse, the flu vaccine didn't work very well. Experts nevertheless say vaccination is still worth it, because it makes illnesses less severe and save lives. CDC officials called the 80,000 figure preliminary, and it can be slightly revised. But they said it is not expected to go down. After receiving a flu shot, it takes two weeks to develop the antibodies needed to protect against infection, according to the CDC website. That is why it is best to get the vaccine before flu season begins, the agency urges. For more resources on the flu season, visit https://www.cdc.gov/flu/index.htm.